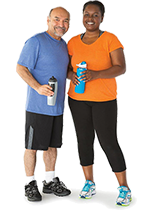 The YMCA of Greater Nashua has the teams and leagues that can stimulate your competitive side and get you moving. Our sports and recreation classes are aimed at friendly competition and fun in a supportive environment for teams or individuals. We have programs for all ages and experience levels. Classes can include, but are not limited to: Basketball, Soccer, Football, Multi-Sport experiences, Karate, Tennis, Racquetball, Volleyball, Pickleball, and more! Practice sportsmanship and teamwork at the Y! Our sports programs develop more than skills – they develop character. 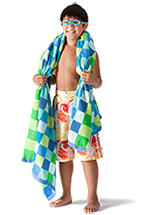 We offer a variety of programs for youth and adults, including recreation and league sports. Coaches, often volunteers and including many parents, emphasize teamwork, cooperation, and developing good values. 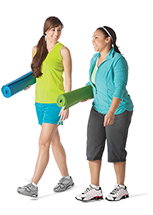 At the Y, sports and recreational activities are something special. Friendly competition, lots of variety and a supportive environment means team sports and recreation is fun again, and it makes for a healthier lifestyle and a good story or two. Classes can include, but are not limited to: Basketball, Soccer, Football, Multi-Sport experiences, Karate, Tennis, Racquetball, Volleyball, Pickleball, and more! Our preschool sports and recreation programs will teach your children the basics of their favorite sports. 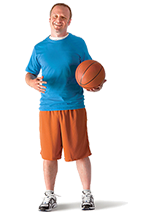 Rookie Sports, Soccer, and Basketball are some of the sports offered at the Y for ages 3-5. Search the program listings below to learn more about these programs and get them signed up today. 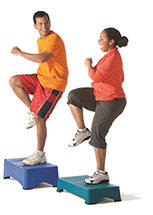 The Y has the perfect program for your young athlete between the ages of 6 and 12. Youth sports focus on developing skills, fun, sportsmanship and teamwork in a positive environment. Basketball, Dodgeball, Volleyball, Tennis, and Indoor Soccer are a few of the programs we offer. Scroll down to the program listings to find your child’s favorite sport, and register today. Get swinging, dribbling, or spiking with these court sports that are all about friendly competition, sportsmanship, fun and healthy living. Women’s Pick Up Basketball, Floor Hockey, Adult Tennis Instruction, and Racquetball are a few of the sports we have. Check out the program listings below to find your next league. We’ve got the perfect martial arts class for your little ninja or future black belt. Participants learn the techniques and disciplines of martial arts while increasing their flexibility, strength, motor skills and listening. Kenpo-Jujitsu Little Dragons, and Youth Martial Arts Classes are among the classes we have available. Check out the program listings below for more information. 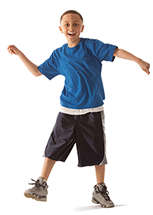 Get your kids tumbling and moving their body. For your future gymnast, or ballerina, these classes will teach them about jumping and rolling safely. Pouncing Panthers, Leaping Lions, and Tumble & Twirl are some of the classes we have to offer. 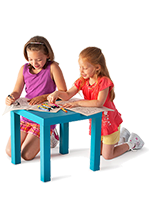 Search the program listings below to find the perfect class for your child. You can register for a one time reservation starting on the Sunday of the week you are looking to play. Reservations are $12 an hour and must be booked by calling the Merrimack Welcome Center (603)881-7778 or by booking in person. You may take out a contract, by the month, where you will get the same day/time per week. You can book months consecutively and can reserve for the following month after the 15 of the previous month. You must book with the Merrimack Welcome Center in person. If you are looking to book a racquetball court, you can do so online up to 5 days prior to the reservation. Click Here to go to the registration system. Looking to get some one on one work, private lessons give you the opportunity to work one on one with our of our Tennis Instructors. You must have already worked out a time with one of our instructors before you register. Ready to get out on the court?